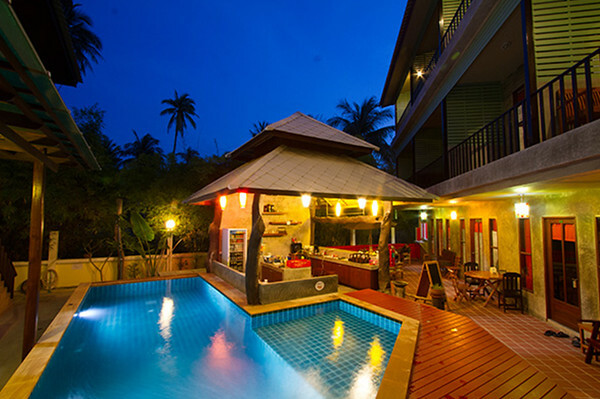 Located in Thong Sala, Blue Dream Hostel is a perfect starting point from which to explore Koh Phangan. The hotel offers a wide range of amenities and perks to ensure you have a great time. Free Wi-Fi in all rooms, express check-in/check-out, luggage storage, Wi-Fi in public areas, car park are on the list of things guests can enjoy. Internet access � wireless, private pool, non smoking rooms, air conditioning, balcony/terrace can be found in selected guestrooms. Entertain the hotel's recreational facilities, including fitness center, outdoor pool, indoor pool, diving, fishing. A welcoming atmosphere and excellent service are what you can expect during your stay at Blue Dream Hostel.